Patrolman James White and Corporal Zach Moak were shot and killed in front of a home at 630 North Sixth Street while responding to reports of shots fired shortly before 5:00 am. Both officers encountered a male subject in front of the home and exchanged shots. The subject and both officers were struck during the shooting. Patrolman White and Corporal Moak were both transported to King’s Daughters Medical Center where they succumbed to their wounds. The subject was taken into custody and taken to a separate hospital. Two additional subjects were taken into custody as part of the investigation. 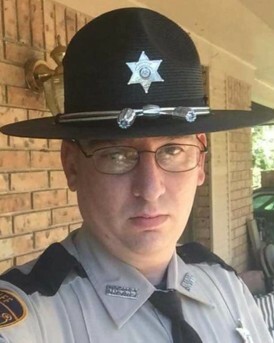 Patrolman White, who served in the Army National Guard, is survived by his fiancee, two young sons, his parents, sister, stepfather, stepsister, stepbrother and other family members.